To make your dreams and goals come true, you need to first see yourself there. Do you want the big dollars while doing work that adds value? Join this candid conversation for professional women on setting goals, to earn (more) money, meaning and mobility. 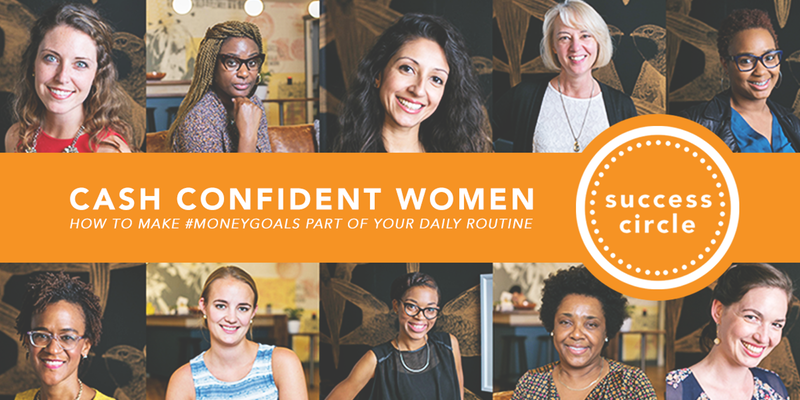 Featuring a Q&A Panel with Women Financial Experts who will answer your questions on everything from budgeting, to wealth building and entering the second phase of life with cash in the bank. Jamila Payne is the CEO of Ideas Action Design, a personal growth training company that provides seminars, speaking services and a line of planners, notebooks, and calendars to corporate clients and women leaders. She’s revolutionizing the way busy professionals work by teaching Daily Success Routine™, a productivity method she’s developed for conquering goals and creating flow between work and home life. Jamila’s Success Circle, a 1,000+ community for goal-getting women business owners has Chapters in Philadelphia, New York, and DC. Jamila has trained over 15,000 entrepreneurs and leaders across the U.S. and Africa. She is the author of several books, including From Payne to Power and Daily Success for Teams - 7 Principles to Create an Entrepreneurial Work Place, releasing this fall. Jamila is an award-winning business owner, selected as a “40 Under 40 Entrepreneur to Watch” by the Philadelphia Business Journal. She’s a Small Business Contributor for the Huffington Post, Black Enterprise Magazine, and Salesforce.com. Jamila’s work has been featured in InStyle, Entrepreneur Magazine, New York Times, and the Wall Street Journal.